The garum fish sauce: a staple of Roman cuisine! 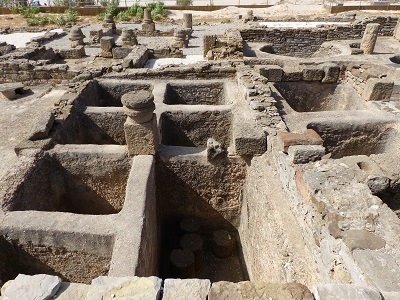 The garum fish sauce was a staple of Roman cuisine. It was used in many meals for cooking or as a table condiment, a little bit like ketchup or mayonnaise today. Garum actually originates from ancient Greece and the word garum comes from the Greek word garos or garon. Garum was made from the intestines of small fishes. The intestines would be picked, they would be macerated in salt and then they would be let to ferment under the sun. The salt prevented decay. A liquid would form after 2-3 months. The Garum fish sauce was the liquid at the top which would be filtered out leaving a sludge called allec. 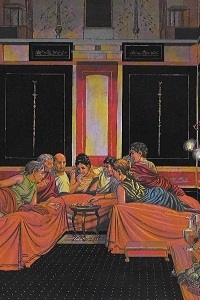 The Romans would then add aromatic herbs and flavors to complete the sauce. The fish sauce had many uses and it was used often in various meals. It was used for cooking, as a sauce, as a table condiment or it would replace salt (as it had a salty taste). 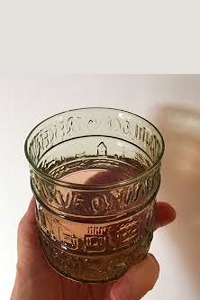 It is worth noting that garum was also quite healthy: it was rich in proteins, minerals and vitamin B.
Garum varied in quality: garum was the best quality, followed by liquamen, muria and allec. And there were also various types of garum depending on the fish being used and the flavorings added. The highest quality of garum was called garum socirum and was made of mackerel in Spain. To give an idea, 3 liters or 7/8th of a US gallon was worth 500 sesterces. To put it in perspective, a loaf of bread cost 1/2 sesterce (sertertius in Latin) or 1,000 times less. Allec was also a sauce that would be eaten. 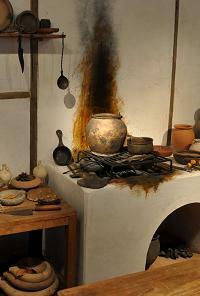 It was the sludge left fom the production of garum and was not liquid. 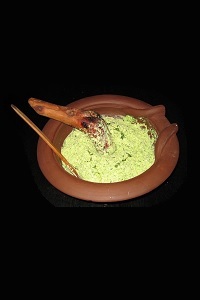 It is difficult to recreate garum at home. And recreating the ancient Roman fish sauce is quite risky as it can lead to food poisoning if instructions are not followed properly. The recipe below is provided for educational purposes only and Romae Vitam should not be held responsible for any injury that may occur from the "preparation or use" of this recipe. Since it would be difficult (and risky) to recreate garum at home, we recommend a Vietnamese fish sauce that is similar to garum that is called nuoc-mâm. If you want to get an idea of what the ancient Roman fish sauce tasted like, you can try nuoc-mâm at a Vietnamese or Asian store near you! 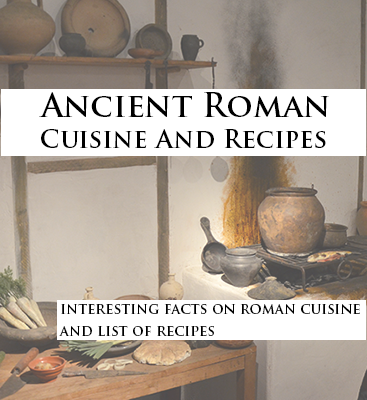 For more ancient Roman recipes, please take a look at our ancient roman cuisine ebook.